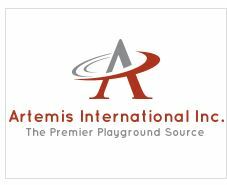 Artemis International Inc. is a woman owned business with over 13 years of experience in the design and construction process of playgrounds. We represent the world’s leaders in recycled plastic for commercial playground equipment. Our products are made 100% in the USA and help provide jobs within local communities. Our philosophy is to create learning environments for aspiring young children. Each client will be provided with a custom design to fit their program’s needs and we will work hand in hand to bring your playground design to life. Artemis International Inc, or AII, blends design, education, and play therapy into practice. Working together to provide an accessible nature-based learning center that invigorate and motivate children and teachers in the outdoors. AII can create designs for new or further enhance an existing play area that supports a variety of educational goals whether they are project based, STEAM/STEM, or high scope curriculum science, technology, engineering, and mathematics, literacy, arts, spiritual, social, and emotional development.